. Poems by The Poem Guy, Bill Keys. Poems while you wait. They had a memorial for a dear old friend, Dr. Cyd, this past Friday night in Boulder. He had a problem with drinking, was 67, and had "health issues". He went outside to have a cigarette, passed out, and froze to death. His passion was making sculpture out of found objects. Boulder has some very valuable trash. I actually knew at least four people that made a living picking trash out of dumpsters and selling it at yard sales. Cyd "dumpstered" for stuff to make beautiful pieces. I LOVED his taste and style as an artist. I wrote this poem on Thursday, and later that night I came home and had a very charming acCYDent. 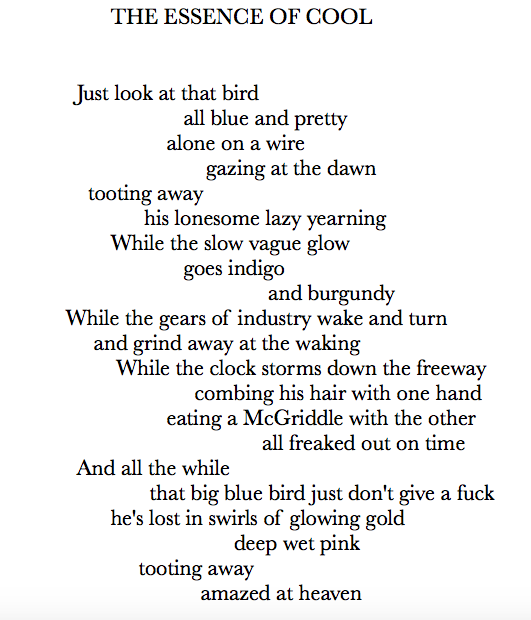 I had the poem laying on my computer keyboard. I was hanging out with a friend and we were WAY high on pot chocolate. I wound up spilling my Corona directly onto the keyboard of my computer, so quick snatched the bottle and set it down, and AGAIN it fell, pouring beer all over my computer. So I quick unplugged the thing, and held it upside down wondering what to do. I grabbed a towel and flipped the computer over to at least wipe off what was on the surface, only to realize that there was no spill on the keyboard, only on the computer body. Cyd's poem save it. Later I found it charming that his poem drank up the beer, leaving the stained paper as a sort of trashed art. For that reason, and others, I call this poem BEER BATTERED. 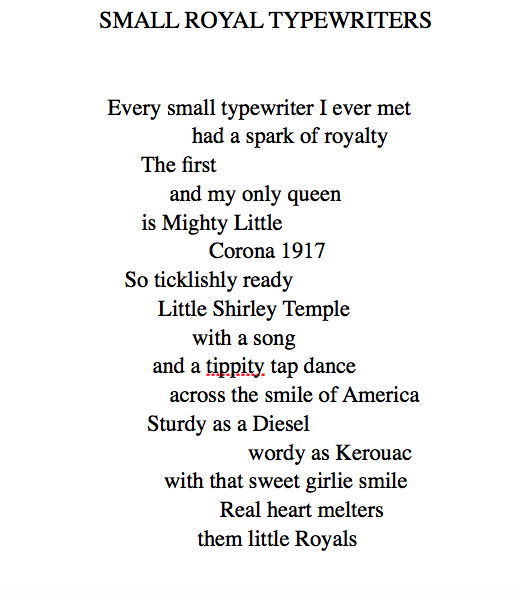 Mighty Little: my 1917 Corona typewriter. We've poemed near 5,000 poems. Two days before the 2012 election, between Obama and Romney, CNN had crews on the ground in swing states fishing for peoples opinions on the election. They stopped to get a poem from me, asking my opinion.